I spent Monday evening immersed in what’s probably now my fifth run through the entire series of The Office (U.S.), and like most superb shows or movies watched countless times, each go-around, I notice something new. Last night, my girlfriend picked up on a bit that she, nor I, ever saw before: Creed, the eccentric weirdo of the group, blogs—like me!—about cars. The emergence of Creed’s fascination with cars comes amid the memorable season 3 episode “Beach Games,” after Pam—having walked across a set of fiery coals stupidly put into place by Michael as part of a hapless effort to pick his successor—finally confesses to Jim that she called off her wedding with Roy because of him. It’s a big moment in the show, especially since Jim—by then—had been dating Karen for some time, and Karen happened to be sitting next to Jim at the moment Pam decided it was time to open up. Awkward! Anyway, later on at the office, everyone razzes Pam about the ordeal, which Meredith says she shouldn’t even worry about because everyone was sloshed at the time. They probably forgot about it already. Alas, not Creed. I blogged about the whole thing, Creed says. At the :24 second mark in the clip above, Creed discloses he’d been keeping a blog at the very superb URL of www.creedthoughts.gov.www/creedthoughts. “Check it out,” he says. 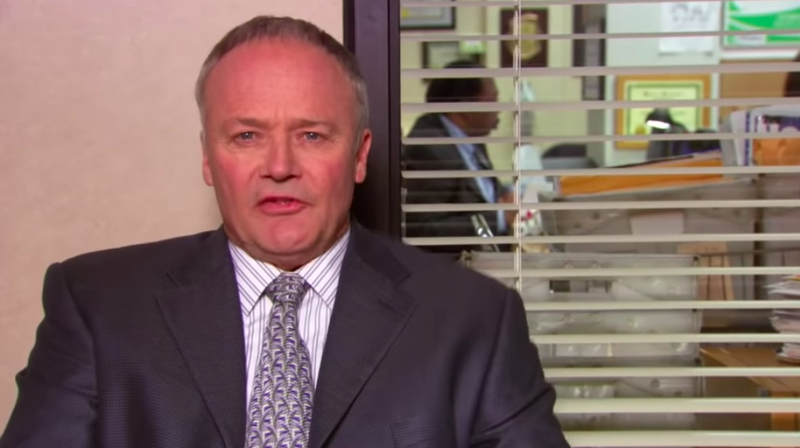 Ryan then enters the frame and says that, sometime a year prior, Creed asked him how to set up a blog. Would you look at that: “What do you guys think is the best kind of car?” Interesting question! He prattles on about how he believes motorcycles are supreme, as they’re “small and dangerous.” But, I think he brings up a fair question that’s worth considering: What do you think is the best kind of car? Hm?